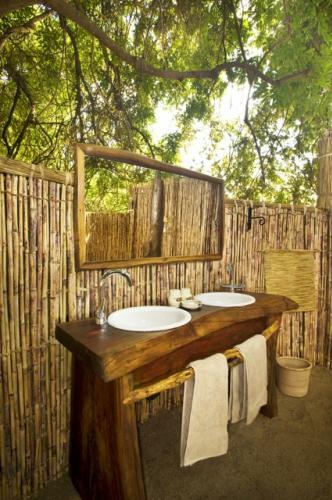 At Kuyenda Bushcamp, accommodation is lovingly rebuilt each season, as your room is a simple but cosy grass rondavel (circular hut) complete with paraffin lanterns, mosquito netting and an open-air en suite bathroom with a large ‘safari’ drum shower. 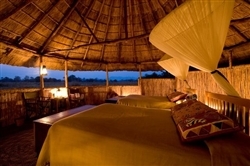 From the panoramic windows you look out onto the surrounding plains. With three twin-bedded rondavels (queen-size beds) and one double (king-sized bed) Kuyenda ideally takes six guests, however groups of eight are accepted. 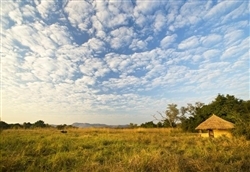 Settle down in the lounge and look out over the rippling grasses of the neighbouring plain where the drama of the African wilderness is played out each day. 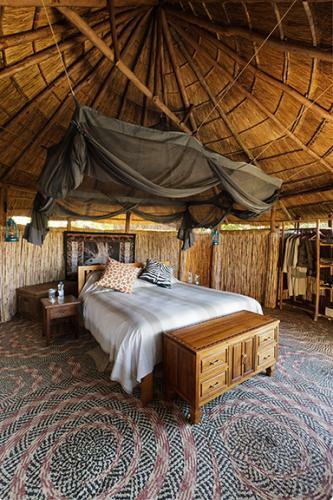 Kuyenda’s intimate atmosphere is only enhanced by the extraordinary couple who regularly run the camp – the ever-hospitable Babette Alfieri and Phil Berry, one of Zambia’s most experienced guides. 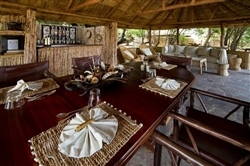 No-one knows Kuyenda Bushcamp like they do, and no-one will make you feel more welcome. In terms of activities, top of the list has to be a walking safari with Phil Berry. Whether you are looking at a leopard or a termite, Phil’s enthusiasm and seemingly limitless knowledge of all things wild will keep you wanting more. 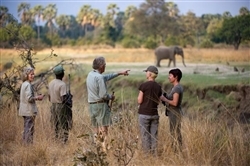 With some of the South Luangwa’s most diverse landscape situated around Kuyenda, guests are guaranteed that no two outings are ever be the same. 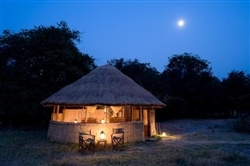 To explore the area more extensively, day and night game drives are available, which adds immeasurably to the overall experience, and allows for some excellent game viewing. 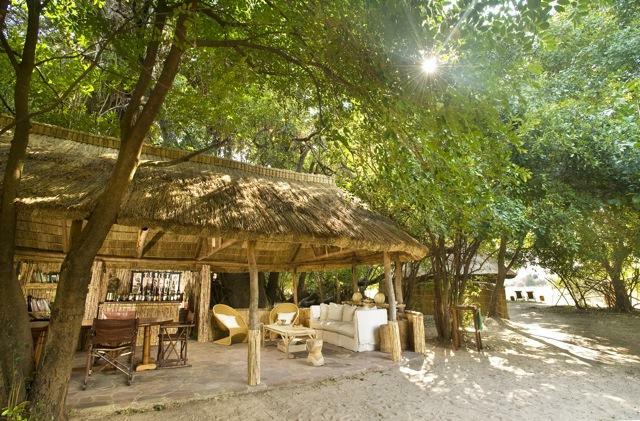 Children over 12 years are welcome at Kuyenda Bushcamp, whilst those under 12 can only be accommodation if the camp is booked on a private, exclusive basis.